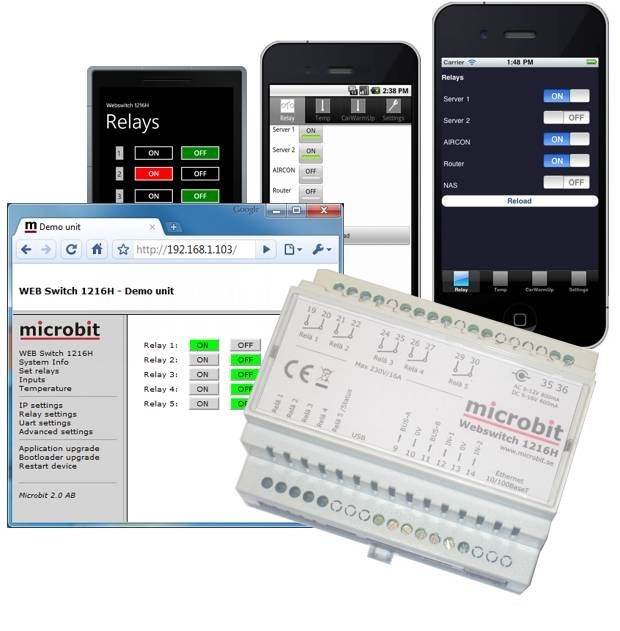 WebSwitch 1216H remote controlled switch with 5 relay outputs. The Ham version have special functions for Rotator control, 4-squares, Antenna switching, remote serial port server etc. The Switch can be controlled from any web browser, there are also APP.s available for IOS, Android, and Windows phone.